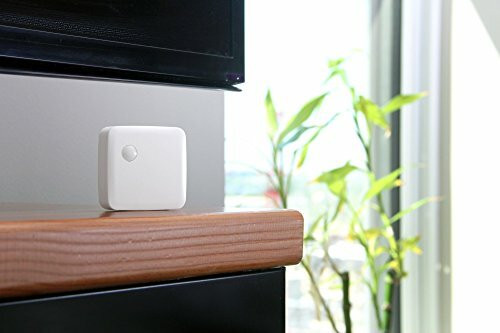 The SmartThings Motion sensor is a ZigBee device that lets you know when movement is detected in a certain area of your home and can trigger different actions in response to that movement. Set lights to turn on and off as you come and go and protect your home by triggering lights, sirens and other electronics to turn on if there's unexpected motion in your home. 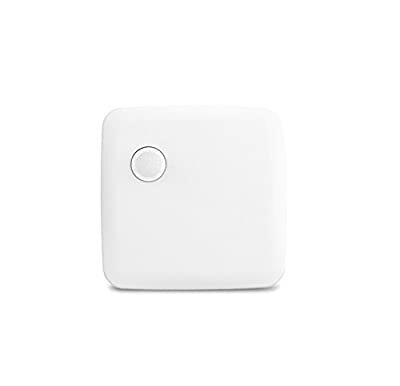 The sensor can also detect temperature and trigger smart thermostats, window A/C units and portable heaters to automatically adjust as people come and go. Place the motion sensor on a table or shelf, or use the included adhesive or mounting bracket and screws to place it on a wall. 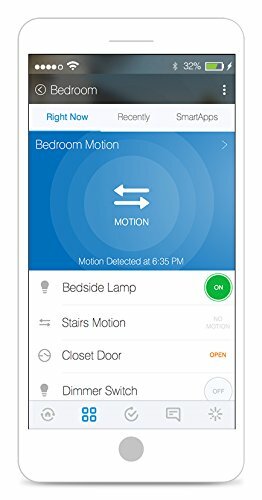 The Motion requires the SmartThings Hub and has a range of approximately 50-130 feet, depending on your home's construction. SmartThings offers a one year limited warranty on this product.